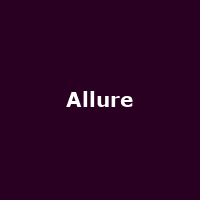 Allure are an American R&B girl band from New York, formed in 1996, featuring Alia Davis, Lalisha Sanders and Akissa Mendez. Founder member, Linnie Belcher left the band in 2001. They had a 1997 hit with the Lisa Lisa and Cult Jam song, "All Cried Out", featuring 112.